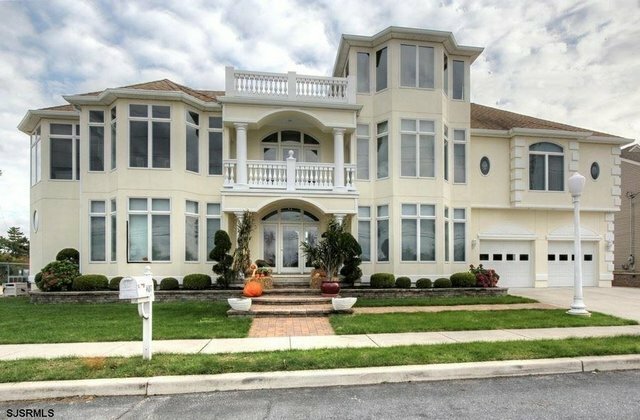 Live in luxury for the summer in this palatial lagoon front beauty! All Yachtsmen! Your dream has come true! Pull up in your "water taxi!" and the rest is heaven! With enough bedrooms for your guests to wake up and enjoy a cup of java and sunset on the massive deck surrounded by an enclave of residences! Cook an outdoor breakfast and entertain your fussiest guests with an exquisite outdoor kitchen boasting a Lynx Grill, Pizza Oven, Beer Meister,you name it! Lay in the sun by the tranquil water or head over the Community Pool or Private Beach! You can have some cocktails at night on the deck with your guests or head over to Luciano Lamberti's in the privacy of the development! If you want to impress your guest the kitchen is a "future chef's" dream! equipped with custom Euro Line Cabinets, Sub-Zero Refrigerator, Bosch Dishwasher, Fisher and Paykel Single Dishwasher Drawer, Thermador Vent Hood over the DCS Double 48" Oven Range with 6 burners and a pot filler!!!!! Hide your wine in the GE Monogram Winer cooler!! This home is endless!! !